Celtic defender Erik Sviatchenko has emerged as a surprise target for Southampton and Leicester City in the final day of January transfer window. Southampton are looking set to land Erik Sviatchenko after British Media revealed that they are in advanced negotiations with Celtic ahead of a potential move today. Erik Sviatchenko has joined Celtic from FC Midtjylland for a free in the region of 2.5 million euros in 2016. The 26 year-old has a valid contract with Celtic until June 2020. Since his arrival from FC Midtjylland, Sviatchenko has scored two goals and provided four assists in 47 games for Celtic, including one goal and provided one assist in 23 games in all competition this season. 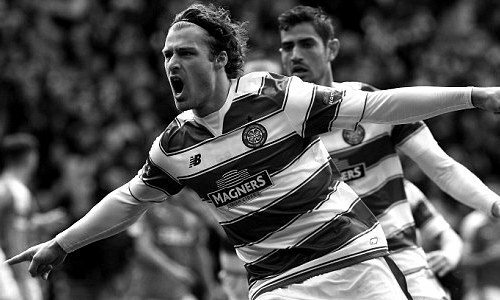 Erik Sviatchenko has also represented Denmark at Under-18, Under-19, Under-20 and Under-21 level, winning 19 caps across all age groups and scoring three goals. He is a member of Denmark national team since March 2015, winning five caps and scoring one goal. The Denmark international has been a target of Claude Puel as the manager looks to bolster his defensive options for the second part of the season, since the injury of their superstar Virgil van Dijk. Premier League champions Leicester are apparently trailing Southampton in the pursuit of Celtic defender Erik Sviatchenko. How strong that interest is and whether the Saints or the Foxes will make today move remains to be seen but it is certainly one worth keeping an eye on.